Here’s the program for the rest of February and March. 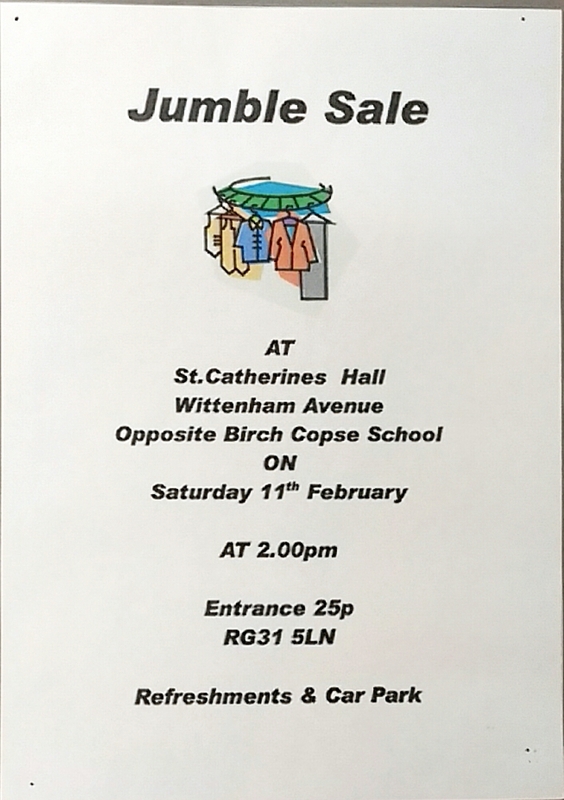 There is a Jumble Sale in St Catherine’s Hall on Saturday 11th February, opening at 2:00 pm. Entrance 25p. Refreshments and car parking are available. 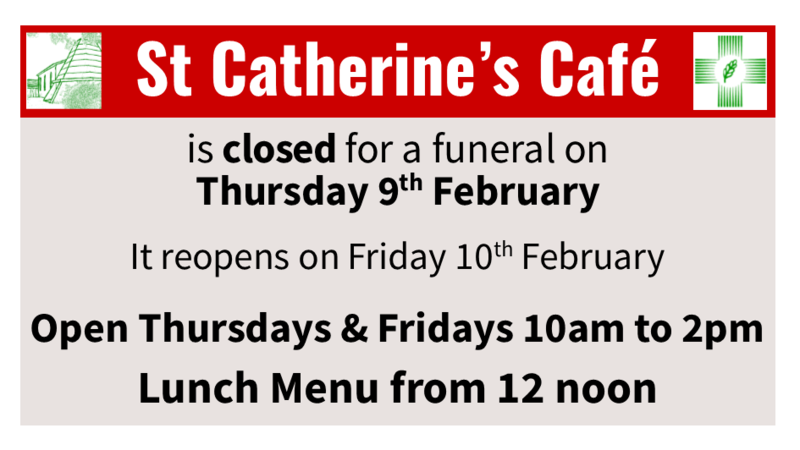 Due to a funeral, St Catherine’s Café will be closed on Thursday 9th February. 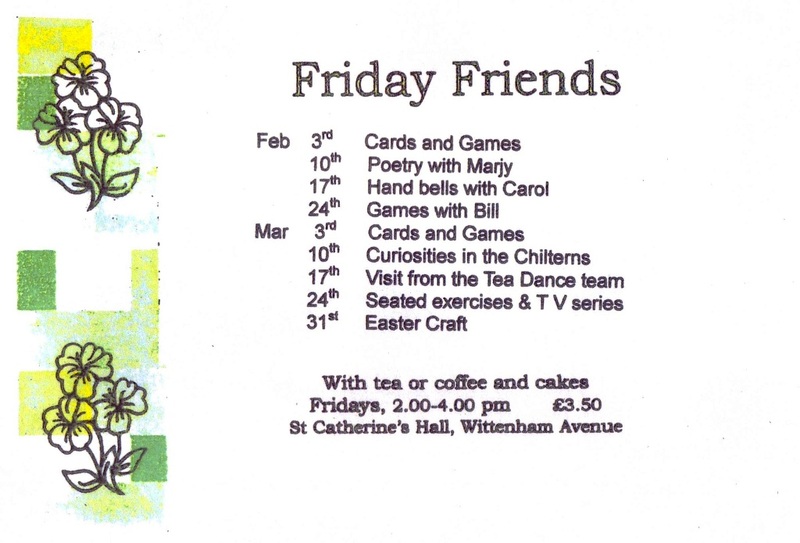 It will be open as normal on Friday 10th – 10am to 2pm with Lunch menu from 12noon.